When discussing dining at Universal’s Islands of Adventure, Mythos typically steals the culinary spotlight. 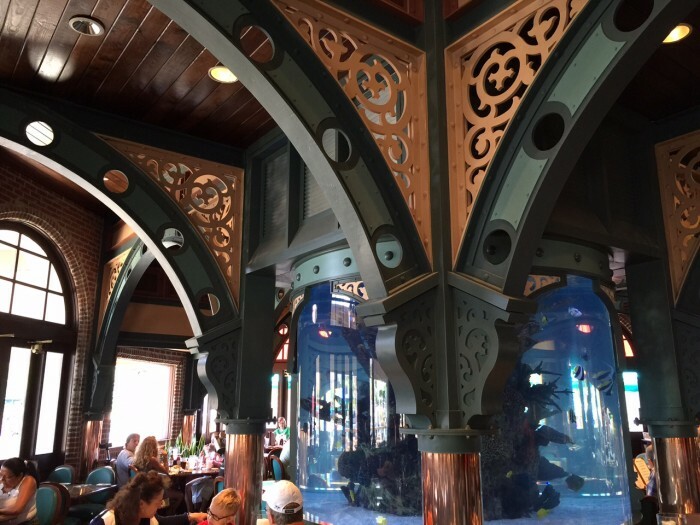 Even Finnegan’s tends to get lots of love within Universal Studios Florida itself, but it’s actually Lombard’s Seafood Grille where a great deal of Universal’s gastronomical delights are to be found. When its top-notch offerings and ideal location on the park’s waterfront are combined with its low profile, an unexpected bonus pops up: lower wait times (on average, at least) and a quieter, more relaxed ambiance. The result is that Lombard’s is not to be missed. Is that a hyperbolic statement, given the totality of the resort’s high-class dining offerings? In a word, no. While it’s true that Mama Della’s is the best overall full-service restaurant at Universal Orlando, and The Three Broomsticks is the highest quality quick-service location – and let’s not forget Mythos itself, which has to easily take the crown for the best-themed eatery – Lombard’s has some of, if not the, best meals around, coupled with an atmosphere that is subtly themed but nevertheless sublime. As the name would imply, Lombard’s Seafood Grille is the domain of fish, covering everything from calamari to New England clam chowder to lobster (the Seafood Pot Pie is also something satisfying to dig into, as it runs nearly the entire gamut of seafood varieties). Surprisingly, Lombard’s also offers its fair share of meat dishes — and though they don’t match the same depths as Finnegan’s in next-door New York — they can still more than hold their own with the likes of steak, beef medallions, an assortment of burgers, and the Chinatown Chicken and Noodle Bowl on hand. There’s even quinoa and edamame for the vegetarian-inclined in your party, making the restaurant far more expansive than what its name might otherwise suggest. All of the food is several orders of magnitude above the typical theme park fare, making the dining experience much more like a traditional meal than a hot-dog-and-chicken-fingers jam session; many compare the quality to what can be found at national chains like Red Lobster (a mostly positive comparison, I have to say). And the fact that, in keeping with the likes of Mythos, it doesn’t cost as much as it would at Walt Disney World is not only icing on the seafood cake (Ed. 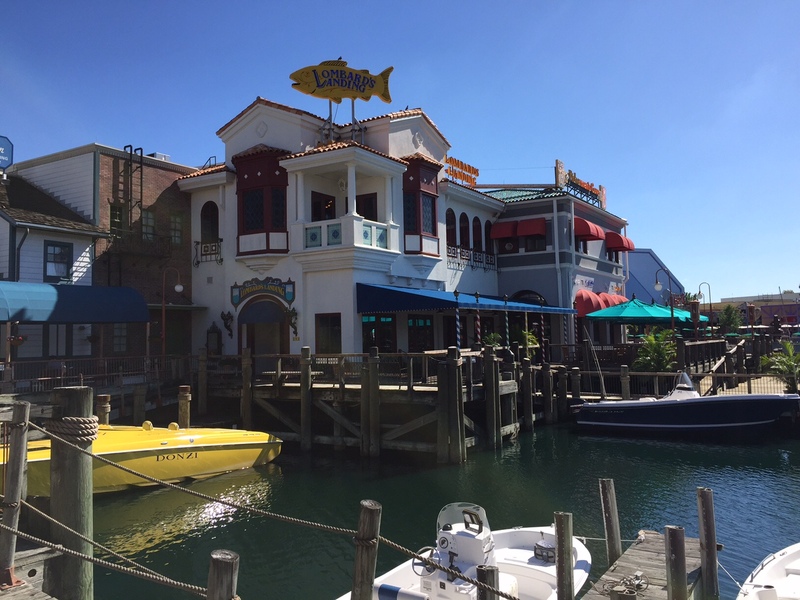 — ewww), it also helps to seal the San Francisco venue’s status as the premiere establishment at Universal Studios Florida. It turns out that “elegant” is just the right word. Victorian flourishes subtly play out against the brick-wall décor, creating just a suggestion of retro-futurism. The gigantic salt-water fish tank that dominates the central room is both seamless and engrossing, making eating next to it something of a quiet adventure in and of itself. 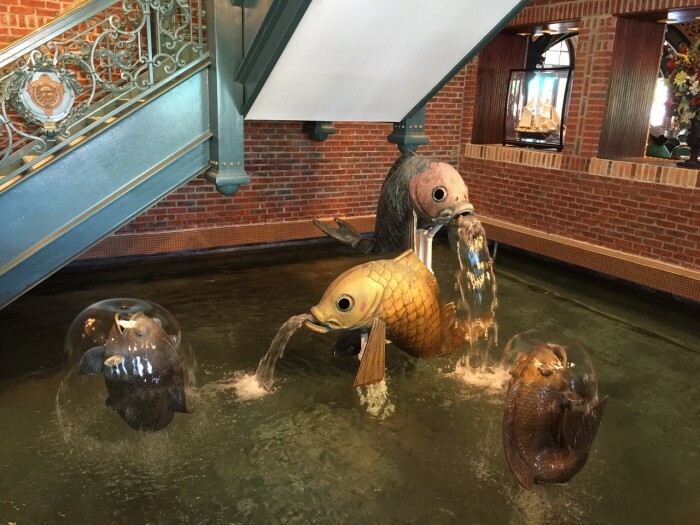 And the little touches that dot the San Franciscan landscape – such as the fish statue that greets guests when they first enter – are the closest to thematic perfection that the park gets to in its eating establishments. The net result is the creation an atmosphere that elegantly reinforces its meals, producing a substantive experience that is neither ostentatious nor pedestrian. 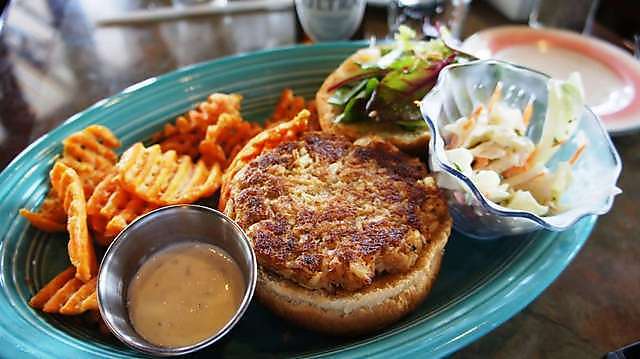 It’s easy to see why most diners fall in love with the restaurant – and why many more completely pass it by. Make sure you don’t commit the same mistake the next time you’re on property. PotterWatch: Lost Continent Games Leave, King’s Cross Gets Named, Hogwarts Express Testing Begins? February 12, 2014 Seth Kubersky Comments Off on PotterWatch: Lost Continent Games Leave, King’s Cross Gets Named, Hogwarts Express Testing Begins? Sounds great! Thanks for the review. Are reservations needed or are walk ups generally accommodated? If you are planning on dining at Lombard’s anyway, book the evening dining experience. 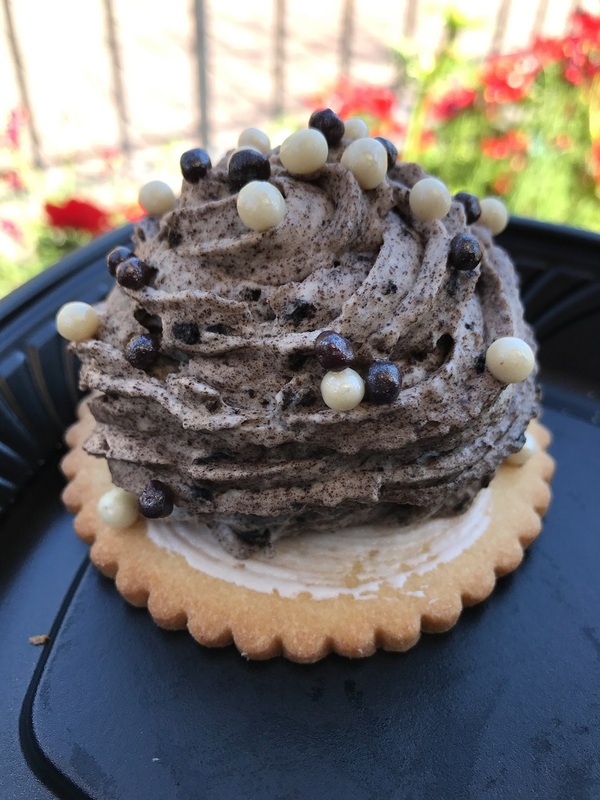 It’s $45 pp (including tax) for an appetizer, and an entree at Lombard’s, plus you have access to an exclusive (all you can eat) dessert party and viewing for the Nighttime Cinematic Spectacular show. We had a truly magical experience a few years ago. One night while eating there with a large party of my friends and family, they took a little longer than expected in getting our food out to us. They apologized and begged forgiveness, I told them it was fine, stuff happens, no big deal. The only thing is we were planning on eating and leaving the resteraunt in plenty of time to find a spot for the fireworks show. We were now about 5 minutes from the start of the show. So I asked if we could watch from the boardwalk behind the resteraunt (normally reserved for the dessert party) I assured them we would stay well away from the party. Not only did they grant us our wish but let us partake in the desserts. Which were delicious! The manager and wait staff here are among the nicest people in the industry!